WE GOT PAST THE WORST OF THE WEATHER, HOPEFULLY! 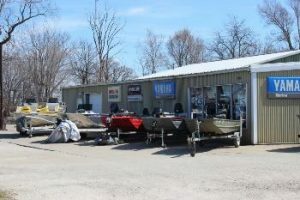 STOP ON IN AND LETS GET THIS BOATING AND FISHING SEASON GOING. COME ON SPRING! 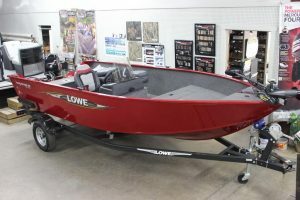 2019 BOATS ARE ARRIVING: CHECK OUT NEW INVENTORY OF JON BOATS! CONSISTING OF BOATS AND MOTORS! We are looking for used boats to sell. If you are wanting to sell your boat, motor, or trailer, stop by or call. We will advertise and sell it for you. Have you ever considered upgrading your sound system? We can help! JL Audio is the best of the best in sound systems! Stop in and get a brochure or check them out on line www.jlaudio.com. Buells can order for you! Are you looking for a portable building? Needing a Carport or Garage? Check out the assortment of Tri-State Carports! You can link their site at www.tristatecarports.com or stop in Buell’s Marine and we can help you with pricing and getting just the right size. TAKE A LOOK AT SOME OF THE NEW INVENTORY WE HAVE IN STOCK! NEW SS190 in the Showroom! New 2019 RT178 w/Evinrude 25HP! Check out this NEW FM160 on the showroom floor!